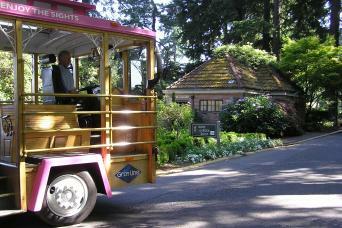 This tour does not operate on June 1 and June 8 due to parades in downtown Portland. 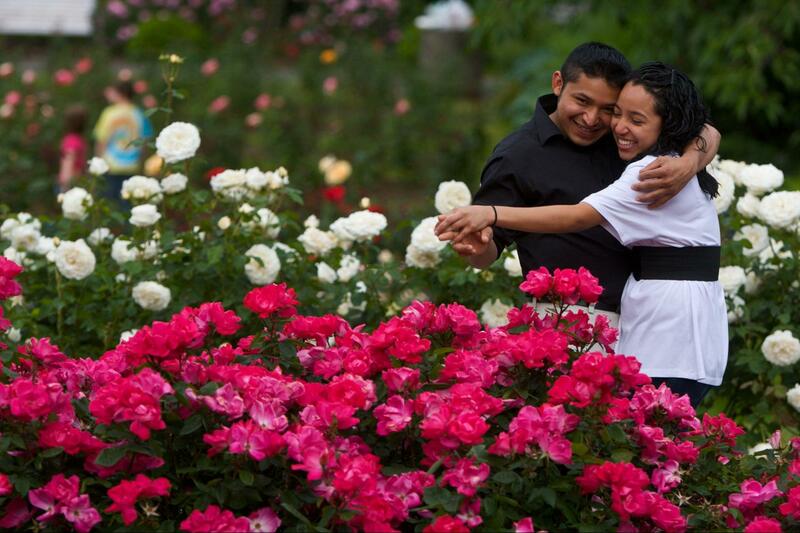 Due to downtown events the tour has a late start or a shortened route on August 12 and September 16. A revised schedule will be available at the sales booth on those days. Great locations for hop-on hop-off stops. 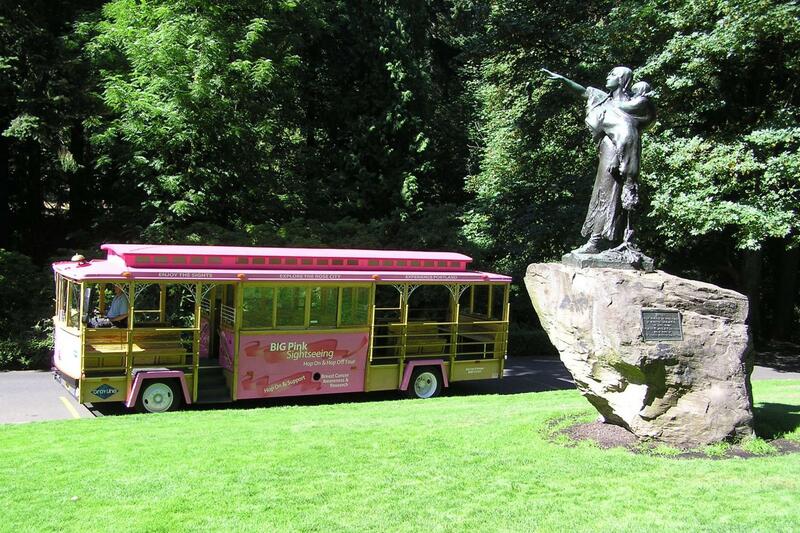 See all the many and varied attractions the "Rose City" has to offer onboard the Pink Trolley Sightseeing Tour. This expertly-narrated 1 hour and 25 minute tour is an excellent way to experience our city at your own pace with 13 carefully chosen stops where you can hop off to spend time and reboard later. 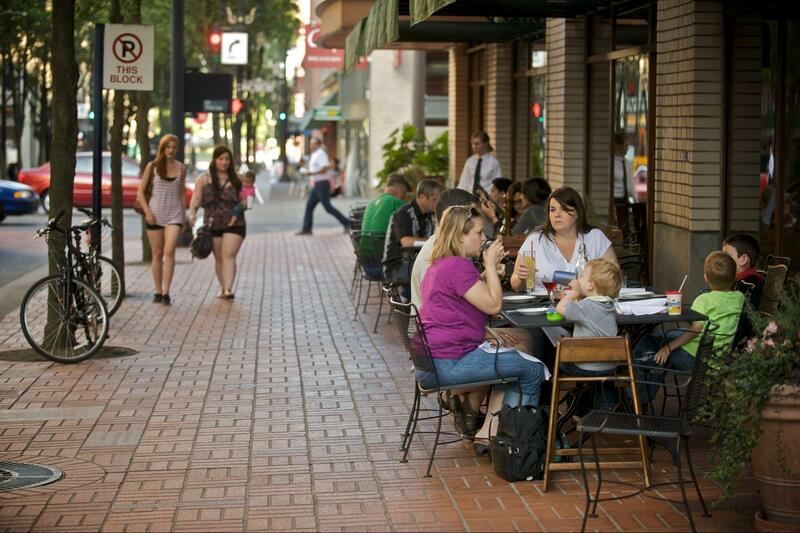 With service at every stop at 60-minute intervals you can spend the day exploring all the highlights of Portland. 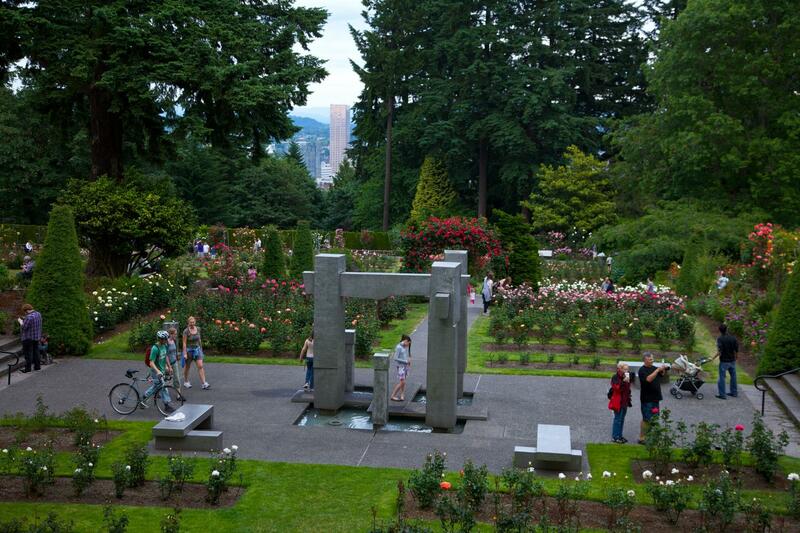 From Pioneer Square to Portland’s world famous Rose Gardens and from Shopping Districts to the arts and museums, it’s available for you with the all-day pass. 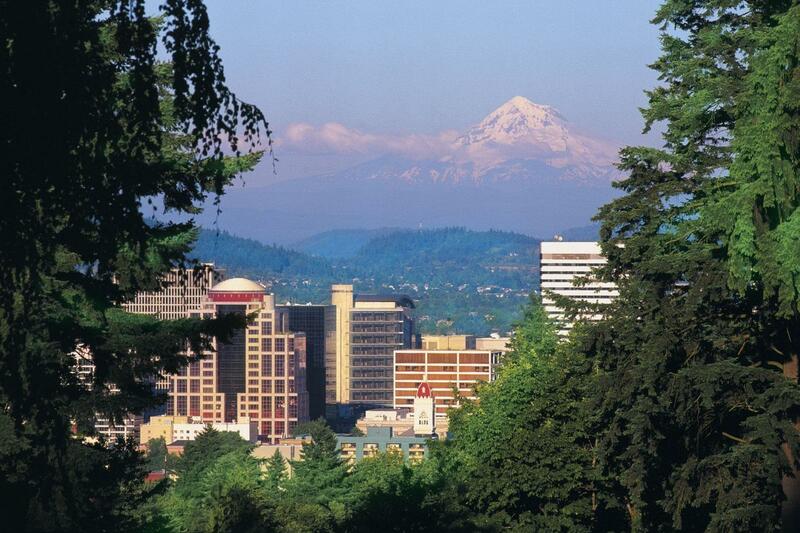 Or choose the optional two-day ticket if you are spending more time in Portland. 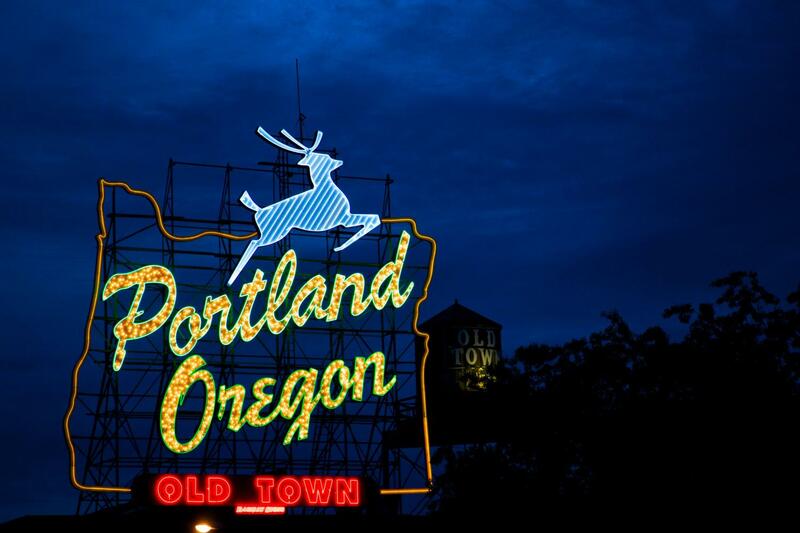 In addition to being a great way to see Portland at your own pace, a portion of your ticket price goes to support the Breast Cancer Awareness and Research. 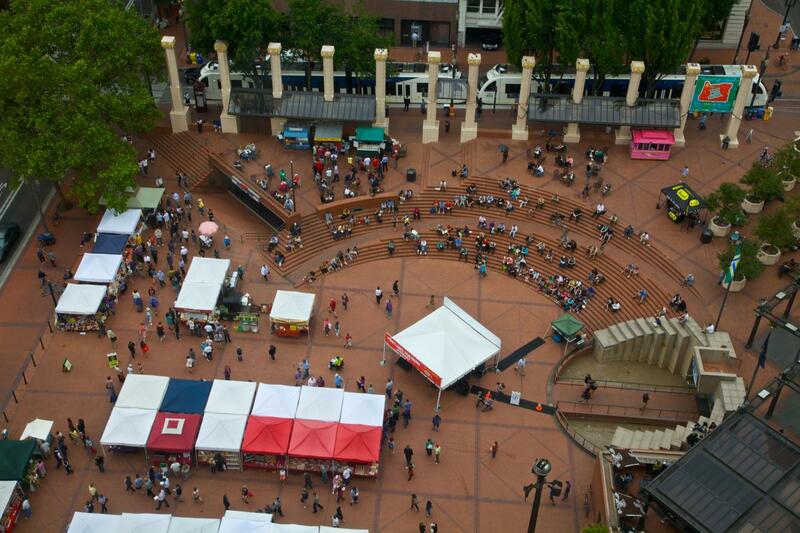 Stop 1 - Sales Booth at 525 SW Naito Parkway - Old Town and Saturday Market nearby - 0 minutes after each hour. Stop 2 - Caruthers Park – On SW Gaines at SW Bond - 9 minutes after each hour . Stop 3 - Aerial Tram and Tilikum Crossing with Light Rail access to OMSI On SW Moody near SW Whitaker - 11 minutes after each hour . Stop 4 - Riverplace - At the SW Montgomery and SW River Drive Aroundabout - 16 minutes after each hour. 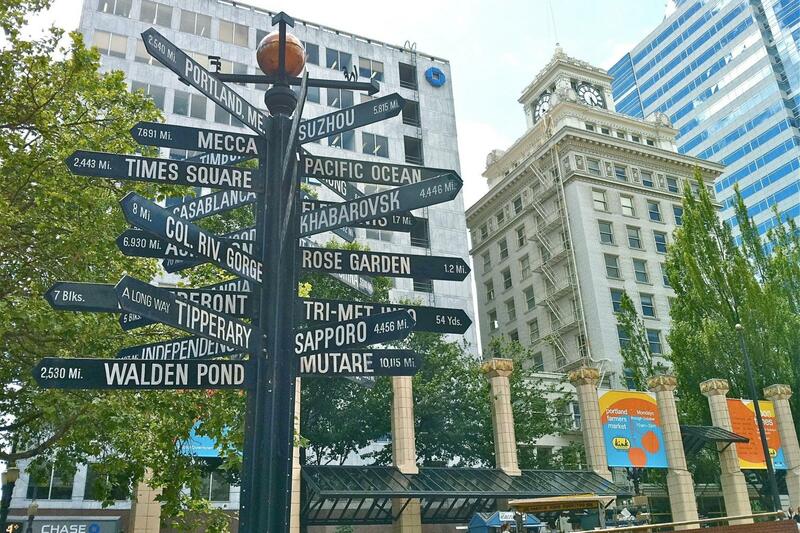 Stop 5 - City Center/Pioneer Place – In the heart of downtown - 21 minutes after each hour. We do not pick up at the hotels. 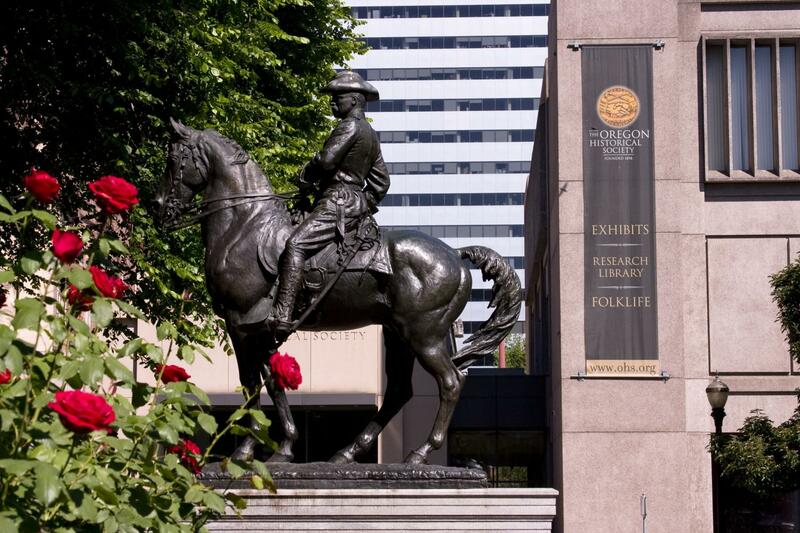 Our easy to find primary boarding location is at 525 SW Naito Parkway, at the foot of downtown Portland, across the street from the waterfront park. We are in a parking lot, look for the miniature Pink Trolley Sales Booth. 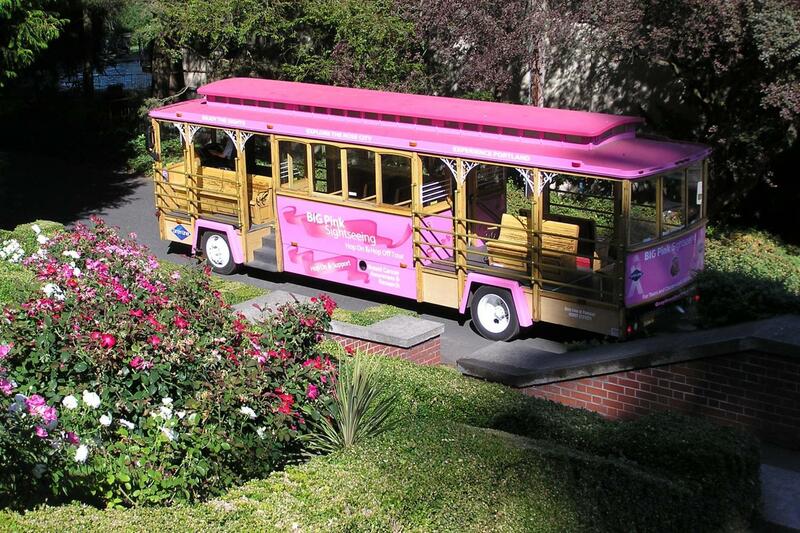 Exchange your voucher for your one day or two day pass and a current time schedule at our Gray Line / Pink Trolley Sightseeing ticket booth. After exchanging your voucher, the trolleys board adjacent to the booth. If you would like to board at one of the en-route stops, see the schedule below.